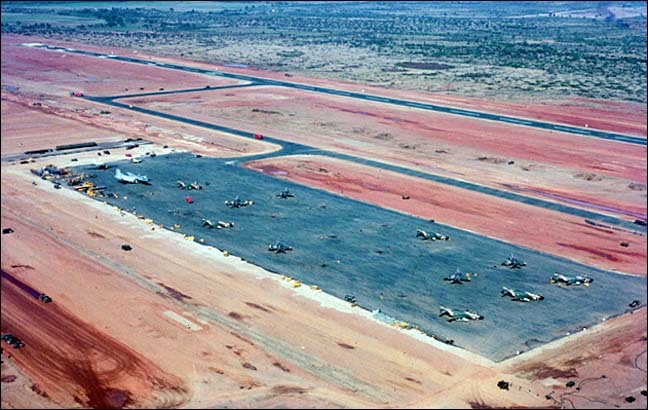 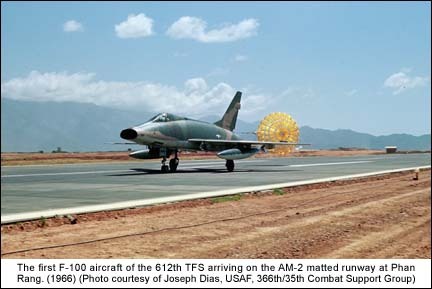 Upon completion of the AM-2 aluminum matted runway in mid March 1966, the command element of the 366th Tactical Fighter Wing and the 389th Tactical Fighter Squadron arrived at Phan Rang after completing a Trans-Pacific oceanic crossing from Holloman AFB, New Mexico. 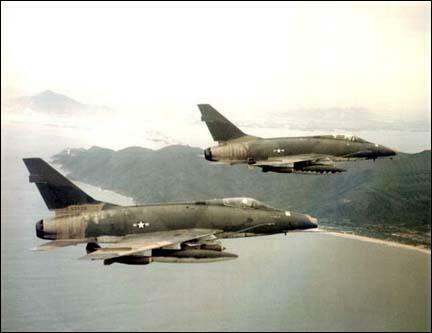 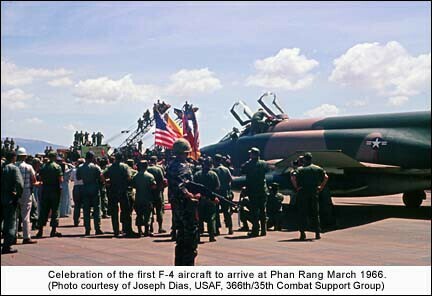 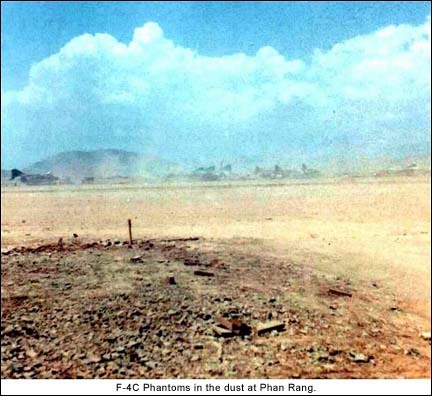 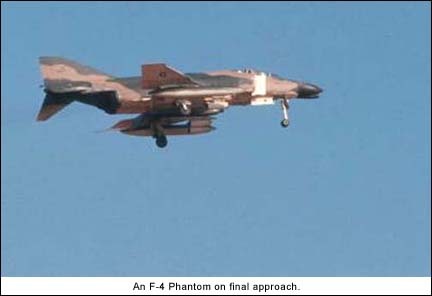 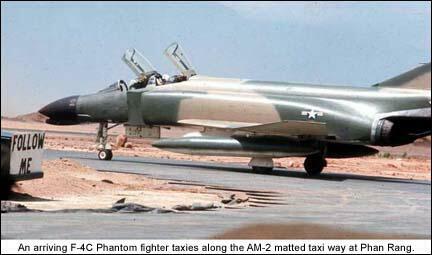 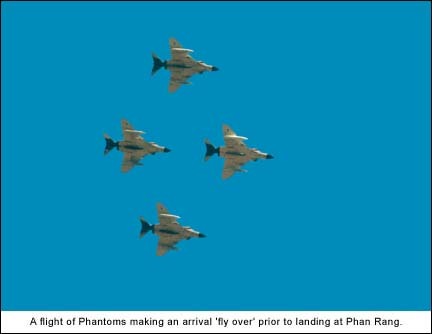 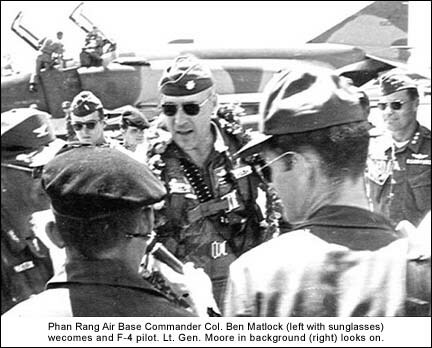 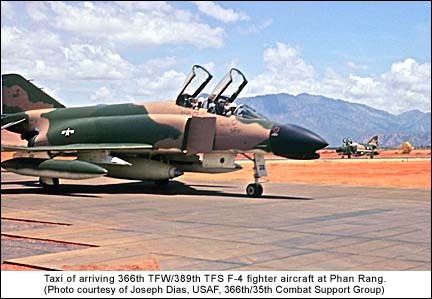 F-4C fighter jets became the first USAF - Allied combat aircraft to operate at Phan Rang. 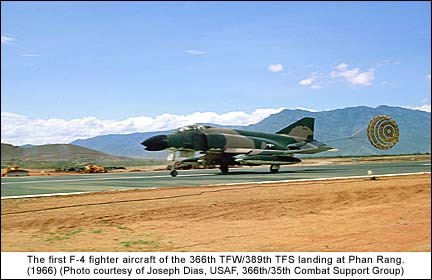 F-4C Photos compliments of John M. Taylor, Jr. 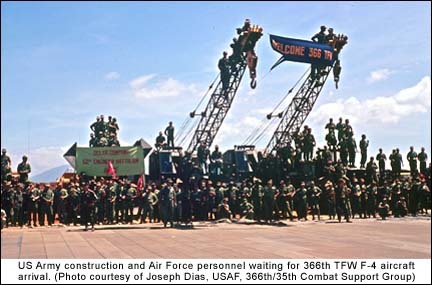 US Army, 101st Airborne Divison, Jerry Linton, USAF, 366/35th Civil Engineers, and Joseph Dias, USAF, 366th Combat Support Group. 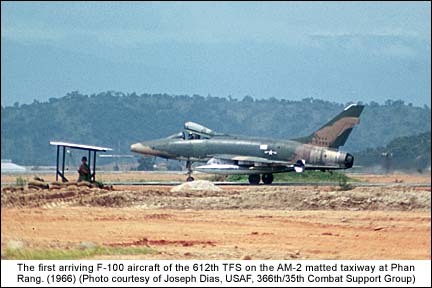 Four (4) additional squadrons of F-100 aircraft began arriving in months after the F-4s. 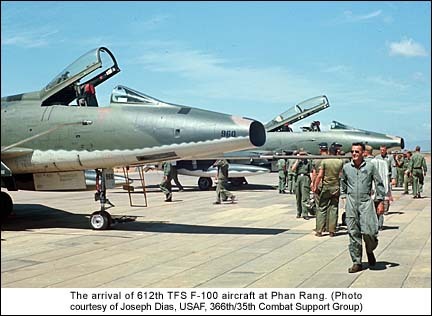 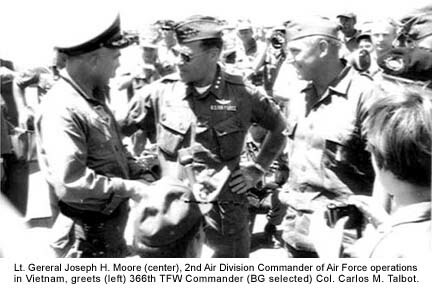 These F-100 squadrons were the 612, 615, 614th, and 352nd Tactical Fighter Squadrons. 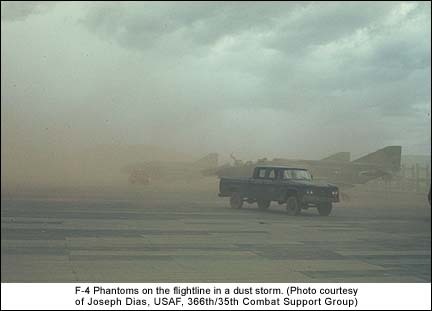 Combat operational sorties began immediately after aircraft arrival. 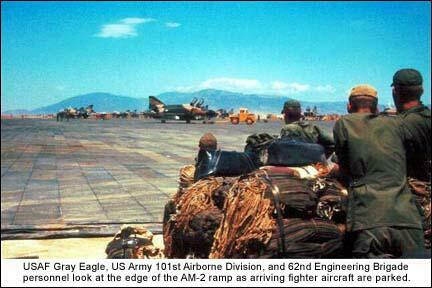 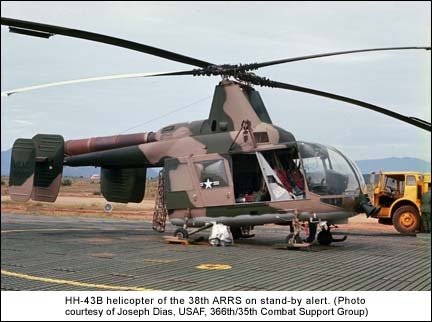 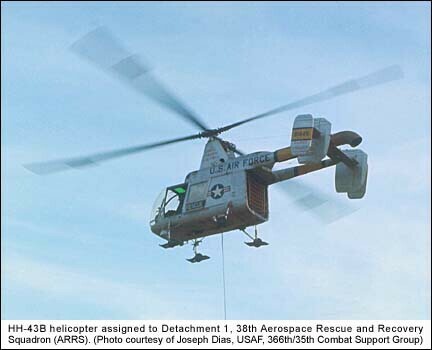 Their operational missions were air support, interdiction and armed reconnaissance. 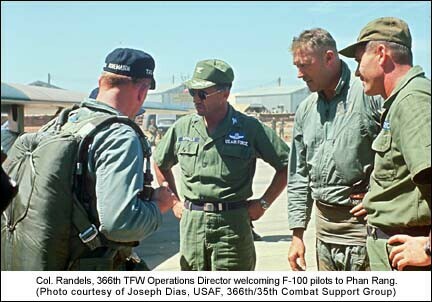 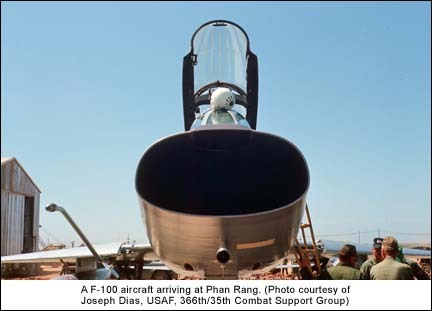 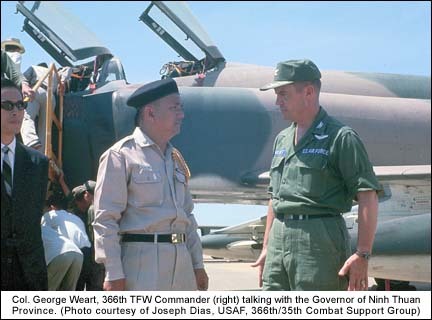 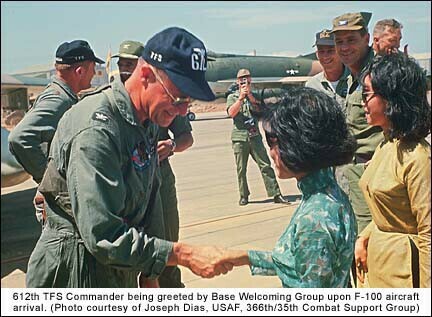 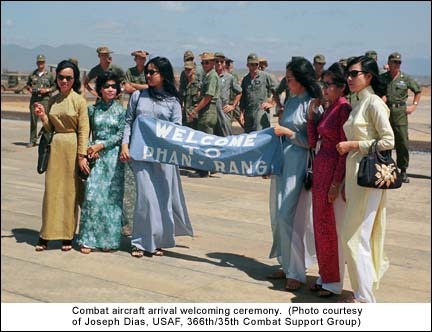 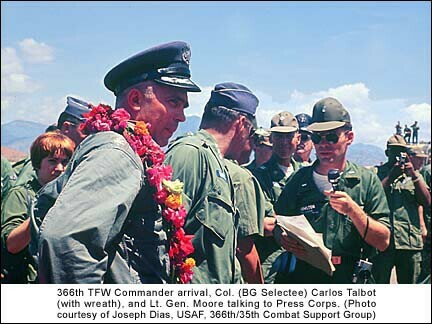 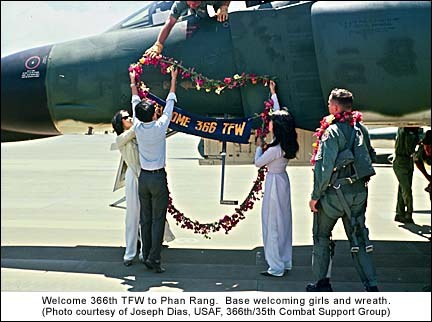 In October 1966 the 366th Tactical Fighter Wing swapped locations with the 35th Tactical Fighter Wing at Da Nang. 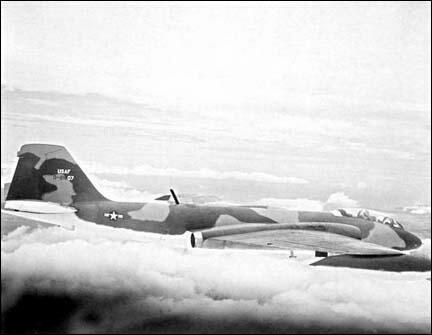 The F-4's of the 389th Tactical Fighter Squadron were replaced with B-57 bombers of the 8th Tactical Bomber Squadron. 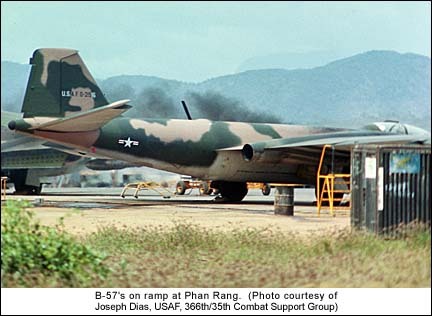 The 8/13th Tactical Bomber Squadrons originally from Clark Air Base, Philippines operated first at Bien Hoa Air Base then at Da Nang. 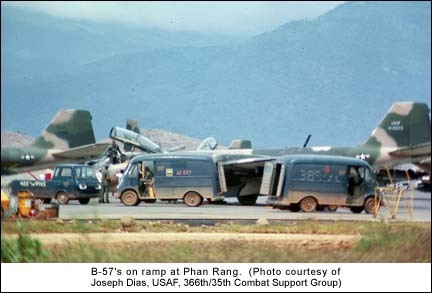 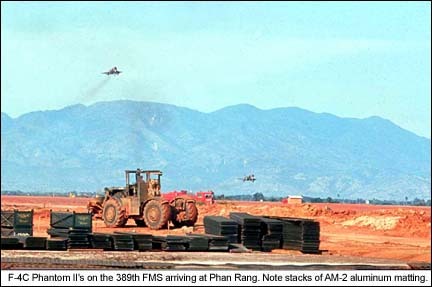 Finally locating to Phan Rang the 8th TBS, the oldest bomber squadron in the Air Force, conducted combat air operations until 1969.